A2 Platinum Premium Infant Formula 1 (From ..
A2 Platinum Premium Follow-On 2 (From 6 Mon..
A2 Platinum Premium Junior Milk Drink 4 (Fr..
Hipp Organic (UK) Combiotic First Infant Mi..
Hipp Organic (UK) Combiotic Growing Up Milk..
Hipp Organic (UK) Combiotic Follow On Milk .. 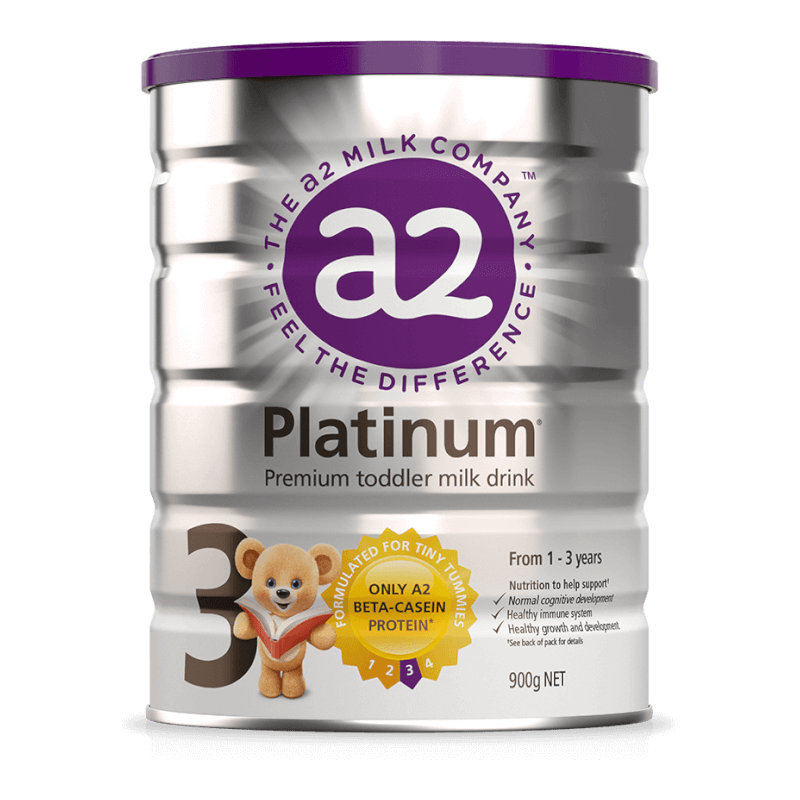 This nutritionally advanced a2 Milk™ drink, tailored specifically for toddlers, is more than a standard cow’s milk. It is the first and only toddler milk drink to contain only the naturally occurring A2 type of the beta-casein protein to the exclusion of the A1 type of beta-casein protein, to help ensure toddlers gain full nourishment from their diet. a2 Platinum® formula for toddlers provides additional nutrients for this time of rapid growth and development.